Reiki is a time-honored method of stress reduction and relaxation that also promotes healing. It is administered through the hands of a trained practitioner directly to the patient. The current technique was developed in Japan and is based on the idea that all living things have a special energy flowing through them, a life energy (ki in Japanese, chi in Chinese). When your life energy is high, you feel strong and confident, are more relaxed and centered and less likely to get sick. When life energy is low, you’ll often feel tired and can be more easily affected by stress and less resistant to illness. Reiki works by aiding and strengthening a person’s own life energy, thereby helping him or her to heal in a natural way. Reiki therapy is recognized throughout the world as a form of complimentary healing therapy. In the U.S., a 1997 study by the National Institute of Health’s National Center for Complementary and Alternative Medicine (CAM) found 60 percent of physicians referred patients to CAM practitioners. Many hospitals offer CAM support for patients and Reiki is often included in the Integrative Therapy programs of hospitals and health care facilities alongside acupuncture, aromatherapy, massage, meditation, yoga and other therapies. According to the results of a 2011 survey released by Health Forum, a subsidiary of the American Hospital Association (AHA) and Samueli Institute, a non-profit research organization that investigates healing oriented practices, hospitals across the nation are responding to patient demand and integrating complementary and alternative medicine (CAM) services with the conventional services they normally provide.The survey shows that more than 42 percent of responding hospitals indicated they offer one or more CAM therapies. A trained Reiki practitioner will administer Reiki through his or her hands, which are lightly placed on or over areas of the patient’s body. The patient may l ie down, or simply sit in a chair. There is no manipulation of the body, no massage, and touching the patient is not even required. The energy passes directly from the practitioner to the patient without the aid of any tools, devices or medicines. The process is known as “entrainment” in the scientific world, and is a natural law of physics. Reiki energy feels different for everyone, but most people report a gentle warmth or slight tingly feeling. Mostly, a treatment feels like a wonderful glowing radiance and calmness that flows through and around you. Reiki treats the whole person – body, emotions, mind and spirit – creating many beneficial effects that include relaxation and feelings of peace, security and well-being. Many people fall asleep, because they are so relaxed! If you have been totally “wound-up” from stress for a long time, you may be very surprised at how restful and calm you feel after a Reiki session. It’s wonderful! Occasionally a person will not feel anything at all, or it may take two or more sessions to really “feel” Reiki as it works. No matter – it is working whether one feels it or not. Usually, the more aware you are of your own body and energy, the more you “feel” it. No. In fact, there is no belief in anything spiritual required for Reiki to work. In reality, Reiki energy benefits all living things, including plants and animals – so, no religious beliefs or practices are necessary. Because many Reiki practitioners ( as well as many doctors and health professionals) believe that healing comes from a divine source, or God, it is sometimes erroneously assumed that one must follow spiritual principles to receive or benefit from Reiki. Just as in other professions, there are Reiki practitioners of every religion around the globe, as well as non- religious practitioners. You are encouraged to research Reiki before seeking a treatment, as Reiki practitioners believe that all people must exercise free will when receiving healing assistance. Does Reiki have adverse side effects? There are no reported harmful side effects from receiving a Reiki treatment! This is especially good news considering the devastating effects of some medicines (just listen to the commercials!) and therapies (such as radiation and chemo) that are widely in use today. Reiki has been said by recipients to lessen the effects of these above mentioned therapies and to help rid the body of toxins and impurities. 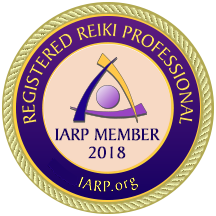 The most influential and well known healing centers and hospitals in the world advocate Reiki and other relaxation therapies as alternative/complimentary/integrative healing support. Slight effects after a session may include a need to use the bathroom more frequently, the sniffles or other cold like symptoms as the body flushes out illness, but not everyone will experience this. Can anyone learn to do Reiki? Absolutely! And, I encourage you to seriously consider this. After all, you want to be able to help yourself – that’s what healing is all about. And, for the price of 3-4 sessions, you could learn this technique and have the benefits for a lifetime. Like other self-care practices, Reiki is cumulative, and builds stronger results with ongoing practice. There are inevitably times in everyone’s life – including mine – where our own healing resources are not enough. We need to seek help during those times. But, as a general rule, each of us can use our own healing resources to better our lives and to aid our health responsibly. ​I want to help you make the most of those natural resources. For more information about learning Reiki, please contact me or check the calendar for upcoming classes. What is the goal of Reiki? The goal of every Reiki session is to help a person regain the natural, healthful state of balance and wellness, and by doing so, to alleviate the symptoms or conditions that make us feel ill. It is well documented that people who live with less stress live happier, healthier lives! Please research Reiki online, or at your local library. NEVER UNDER ANY CIRCUMSTANCE STOP TAKING MEDICINES OR TREATMENTS WITHOUT FIRST CHECKING WITH YOUR PHYSICIAN! I DO NOT OFFER MASSAGE, MEDICAL ASSISTANCE OR MEDICAL ADVICE- I ONLY OFFER SESSIONS AND INSTRUCTION IN STRESS REDUCTION AND RELAXATION ENERGY WORK.